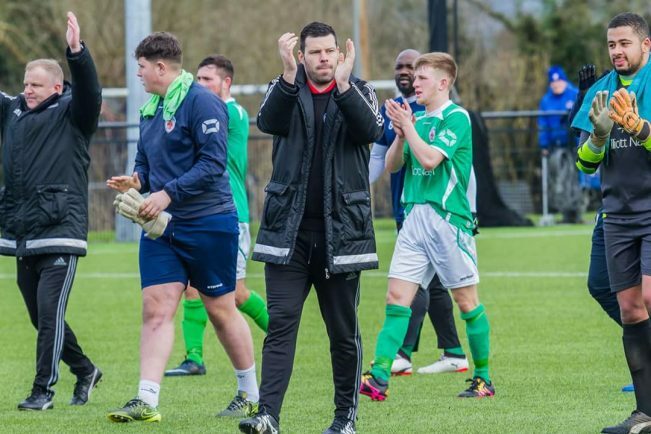 BROMSGROVE Sporting have been crowned champions of the Midland League Premier Division after beating Loughborough University 3-1 and Highgate United slumped to a 3-0 defeat at Worcester City. Richard Gregory opened the scoring for the Rouslers after 20 minutes with John Pykett adding the second nine minutes into the second half. Alex Dinsmore pulled one back for the Scholars from the penalty spot with 18 minutes remaining to set up a tense finale but Sporting managed to grab the killer third goal in the first minute of injury time through Jason Cowley to secure the league crown. Highgate needed to beat Worcester at the Victoria Ground today (Saturday) to delay Sporting’s title hopes until Tuesday when Brendan Kelly’s men are due to play Lye Town. But they crashed to a 3-0 defeat to the Blue and Whites to secure Sporting’s place at Step Four on the non-League ladder for the first time in their history, the same level where Bromsgrove Rovers were before they folded.